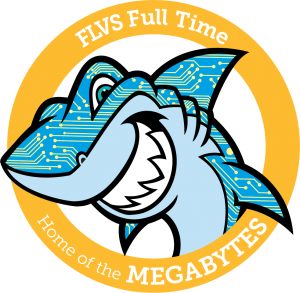 Are you a current FLVS Megabyte? Or looking to join our incredible middle school family at FLVS Full Time? As our FLVS Full Time students in grades 6-8 wrap up the school year, our incredible staff of dedicated educators are starting to plan for our 2018-19 school year! As the FLVS Full Time Middle School Principal, I am proud to give a sneak peek into the passion and commitment we have at our school. 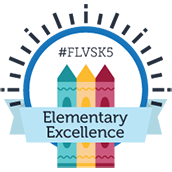 The FLVS Full Time Middle School is currently finishing our second year as a school, and we could not be prouder of the amazing student success we’ve seen this year! Over the course of our two short years, we’ve developed an exceptional virtual school community. Our leadership, support staff, and instructional team strive for excellence daily! Our students and families can expect nothing short of A+ compassion, engagement, and commitment every day they enter our virtual halls and classrooms. Middle school students are all part of a “House” at our middle school, where they are taken care of by a team of committed teachers. Some of our house names include: “Megabyte Mariners,” “Beacon House,” and “Starfish House.” We have 10 houses in total, and students are placed in their house based on grade level. Families love this model, as it serves as an additional layer of support for our students as they work towards transitioning into, and then out of, middle school. Our houses enjoy monthly “House Meetings” where students come together with all their teachers and other classmates who are in the same house, play games, get to know their peers, and have fun with their teachers! A day in the life of an FLVS Megabyte looks a little like this: students are greeted each morning by a member of our leadership or school counselor team during Morning Announcements. We gather to celebrate student, teacher, and school successes through our #thankateacher and Stellar Student celebrations. Morning Announcements also serve as a special time for our students to interact with their peers in a supervised, fun, and safe environment! We know how critical it is that our students start their morning and day off strong, and our goal is to motivate them through celebrations and our final “Words of Wisdom” each day! Following the Morning Announcements, students eagerly hurry off to their first live lessons of the day, where their teachers are excited to greet them and make meaningful connections through engaging content! Students are active participants in our live lessons, and they have the choice of participating via camera, microphone, chat box, or simply enjoying listening to their teachers and peers. Live lessons are offered Monday-Thursday, and have quickly become one of our students’ favorite activities! In between all the excitement of live lessons, students can expect to connect with their teachers via phone and text, and maybe even a visit to one of our live tutoring sessions. Students are actively engaged in their course content throughout each day, with the support of their team of teachers. Our students, without a doubt, have the greatest support system within our school, and it is the very reason each student thrives as an FLVS Full Time Middle School Megabyte. Enrollment is currently open, and we would love to have you join our family of Megabytes! Ready to take the next step? Request more information here. 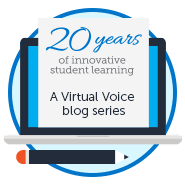 This entry was posted in Full Time Edition and tagged A Day in the Life of Virtual School Student, Enrollment, FLVS Full Time, FLVS Full Time middle school, Middle School on May 21, 2018 by Guest Blogger. We had a great first year of Middle School. Thank you Awesome Anchors teachers! I look forward to seeing what my kiddo will learn next year. But first…summer break! Thank you all! This was my son’s first year at FLVS, and it was amazing! Fantastic teachers who helped every step along the way. His teachers kept contact with me on a regular basis, which was so refreshing to have teachers contact me with updates! We love it! That is so great to hear! Thank you for sharing. Hope your son has a great summer!